With OXO's Corer it is easy to make delicious baked apples and perfect apple rings. 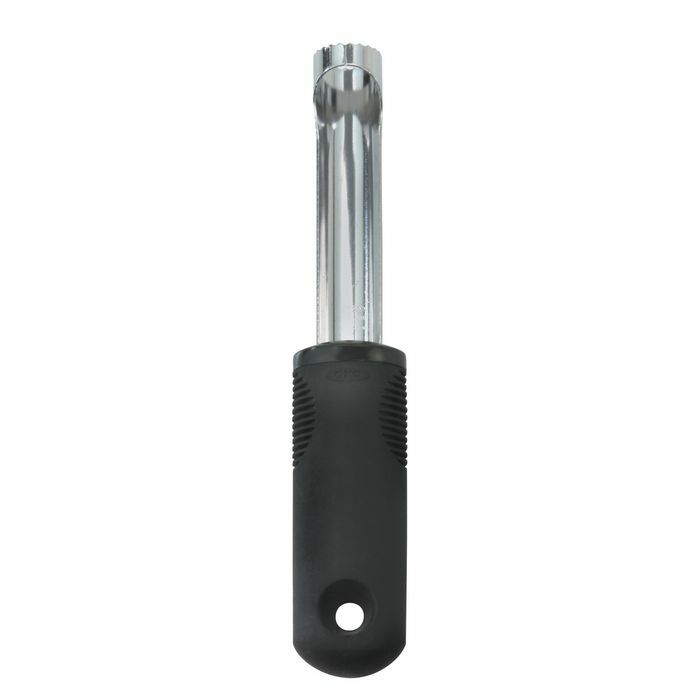 The stainless steel Corer glides easily though an apple or pear to remove the core cleanly, and the core is easily removed from the tool with a simple shake. A soft handle absorbs pressure.